The Olouros Fortress Cultist Clue is part of the Legacy of the First Blade DLC Episode 2, Shadow Heritage. You have to find the cultist clue in the fortress to kill all the Cultists in the Order of the Storm branch. It isn’t too hard to find, but it might be difficult if you don’t know exactly where to look for it. So, here’s our AC Odyssey Legacy of First Blade Cultist Clue Location – Olouros Fortress guide to show you where the clue is, as well as the location of the cultist it reveals. 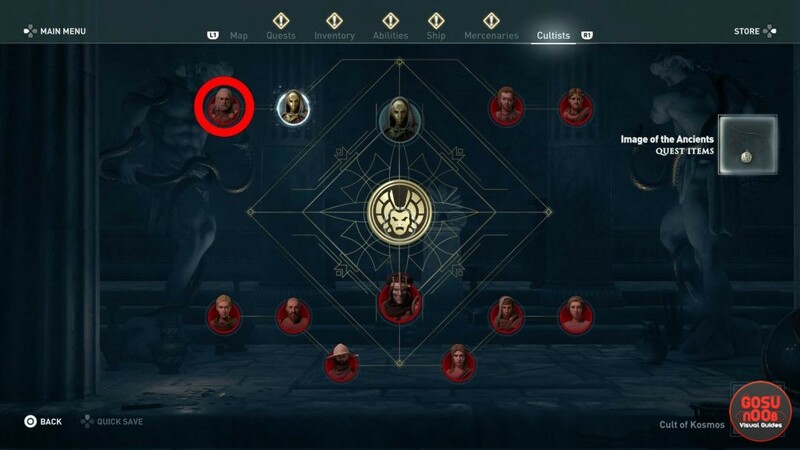 Where to Find Order of the Storm Cultist Clue in AC Odyssey Olouros Fortress? To find the Cultist clue in Olouros Fortress and reveal one of the Order of the Storm member, your first order of business is getting to the fortress. It’s in the area called Erymanthos Peaks, in east Achaia. It’s just below the Scavenger’s Coast region. Then, you want to look in the tower, which is the tallest building in the fortress. We entered from the roof to be kinda stealthy, but you can kick the front door down if you want. Either way, the clue is going to be on the ground floor. The game will let you know when you’re nearby. Just loot the whole place, really. The location of the cultist by the name of Nestor the Formidable is, interestingly enough, in the middle of the sea north of Achaia. Fortunately, you have the Cultist icon to lead you straight to him. So, all you have to do is hop onto the Adrestia and set sail. Now, don’t think that this will be a cakewalk necessarily. There are several ships that you’ll have to battle. How you approach the fight is up to you. If you want to just ram the other ships and use your archers, you can. If you’d prefer to board them and destroy them that way, that works too. Either way, be ready for a fight; it shouldn’t be too much of a bother. That’s pretty much all there is to Nestor the Formidable and the Cultist clue in Olouros Fortress. Killing Nestor will give you another Cultist clue, but that’s a matter for a different guide. If you need more help on the second episode of the Legacy of the First Blade DLC, check out some of our other guides. We’ve got Shipwreck Cove Cultist Clue Location, Legacy of The First Blade Endings – Can You Avoid The Baby, and How to Start Legacy of the First Blade DLC Episode 2.